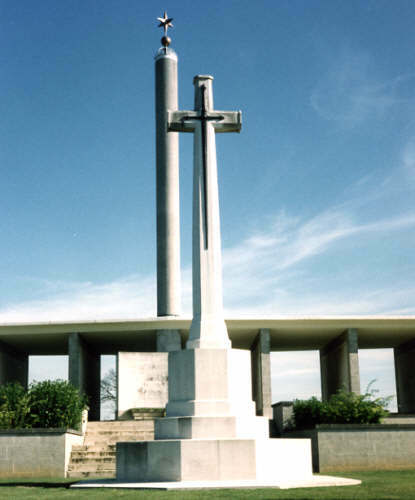 The Cross of Sacrifice was designed by Sir Reginald Blomfield. Like the Memorial Stone, the Cross of Sacrifice can be seen in Commonwealth War Cemeteries around the world. Beyond the Cross is the Memorial to the Missing and the Winged Memorial. The Star at the top of the Singapore Memorial can clearly be seen.